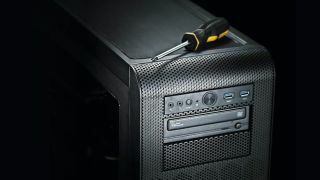 When it comes to a lagging PC or smartphone, TechRadar Pro readers place the most blame squarely on their internet connectivity, ahead of their computer or handset’s actual hardware not being up to scratch. With PCs experiencing lag, the most popular area to pin the blame on was the machine's internet connection, which was cited by 29.8% of respondents. As for smartphones, the results stacked up pretty similarly, at least at the top of the frustration rankings, with most readers – 26.2% – again blaming internet connectivity as the most likely culprit if their handset starts to lag. Again mirroring PCs, that was followed by blaming the phone’s hardware in second place on 24.1%, and the operating system itself was the third most likely offender on 20.9%. The main difference between phones and PCs is that here it’s a far closer race between blaming the internet, hardware and OS. In other words, phone owners are more likely to be down on their hardware or OS than PC users. The other results for phones produced considerably smaller percentages than PCs, with the rest of the rankings being as follows, from fourth place onwards: productivity apps (5.9%), other software like utilities (5.4%), web browser (5.1%), content creation apps (4.7%), games (4.4%), and in last place security and antivirus software (3.3%). Software aside from the operating system, then, is far less likely to cop any blame when it comes to a lagging phone compared to a PC. It’s also interesting to see that security and antivirus apps are the least offending category for phones, when they were the fourth most-blamed bugbear on the PC (with a chunky 10.6%). A big thanks to everyone who participated in our illuminating survey.